Furnaces last an average of 15 years with proper maintenance,but boilers can last even up to 30 years with annual inspections and flushing . One of the greatest investments we make is our home. We want our surroundings to provide us with a welcoming environment that simultaneously appeals to our sense of style and keeps us comfortable no matter the season. So we invest in climate control systems to keep us warm in winter and cool in summer . It is up to us to ensure our systems are kept in good working order . Most of us are aware of the importance of annual maintenance for furnaces/boilers and air conditioning. A checkup to ensure it is ready for the upcoming season. It is a good idea to schedule these annual inspections in advance to ensure continued comfort as the seasons change . Furnaces last an average of 15 years with proper maintenance and above all they will start costing you money once they pass 15 years . Sometimes replacing the furnace will be less expensive in the long run. Boilers can last up to 30 years if they are maintained properly and installed according to manufacture specifications. It is important to read the installation guide to any appliance. The bulk of our work is service and maintenance. We replace when needed . We often find and correct mistakes technicians have made during installation. We can not stress how important it is to read and follow the manufacturer’s installation guide to ensure a longer life for the appliance and also comply with warranty requirements. Annual maintenance and upkeep on energy efficient appliances is a small price to pay to save replacement costs! Protect your investment with routine inspections. Boilers are becoming more efficient every year. They all need maintenance and upkeep. Some boilers have cartridges that need to be oiled. Over-oiling will damage the circulator . Tankless boilers condensate into a trap . The trap should be service yearly to avoid boiler shut down of leaking. The heat exchanger should be cleaned yearly. A professional should be doing this work . This is not for homeowners to practice on. You could cause damage to your boiler or you could cause an explosion. Boilers are a good choice in heating. I personally like radiant heat because it is quiet, it maintains the temperature in the room making rooms more comfortable . Boilers last alot longer than forced air furnaces . Average life span of a boiler is 20-30 years. That is if you keep it tuned up every year. Also if you are thinking about purchasing a new boiler system . You may want to do some research on Weil Mclain and Burnham . These boilers are the leader in the industry. In Northern Colorado they are easier to obtain repair parts for too. If you live over 6500 feet there are other upgrades that need to happen. Like a high altitude kit, propane, whole house water filter and condensate neutralizer. It is important for furnace inspections every year. The main reason is for you and your families safety. An inspection involves at least 14 checks. They check your gas pressure, temperature rise, clean flame sensor, check amp draws on the motors and igniters. The most important is they check for carbon monoxide. This is an odorless gas that can leak out of the furnace heat exchanger when heating. If it is left unrepaired the gas could make you sick or even kill you. 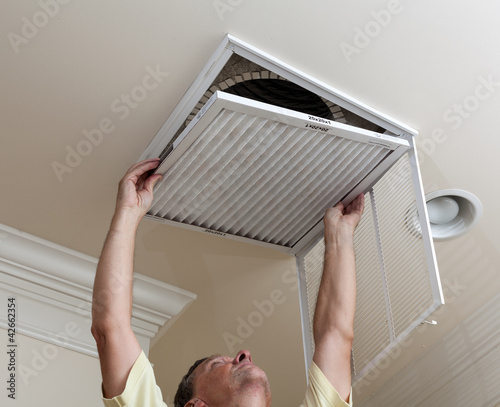 It is also important to change your furnace filter monthly. (one inch). Four or five inch filters need to be changed every 6 months . Even if you have air conditioning. Make sure to keep combustibles ,such as paint, away from the furnace . Code requirements recommend thirty inches of clearance in front of the furnace and water heater . Keeping you furnace running efficient is important and getting your car serviced.